Banh Mi and New Westminster don't really come to mind when we are looking for that addictively and inexpensive Vietnamese sandwich. 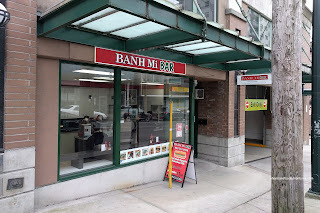 More often than not, we look towards Kingsway in Vancouver or to Banh Mi Saigon on Victoria Drive. 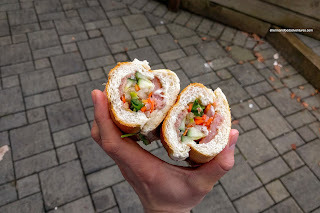 So after sharing some plates at Patsara Thai, Big D and I decided to take a stroll down Carnavon to check out Banh Mi Bar. 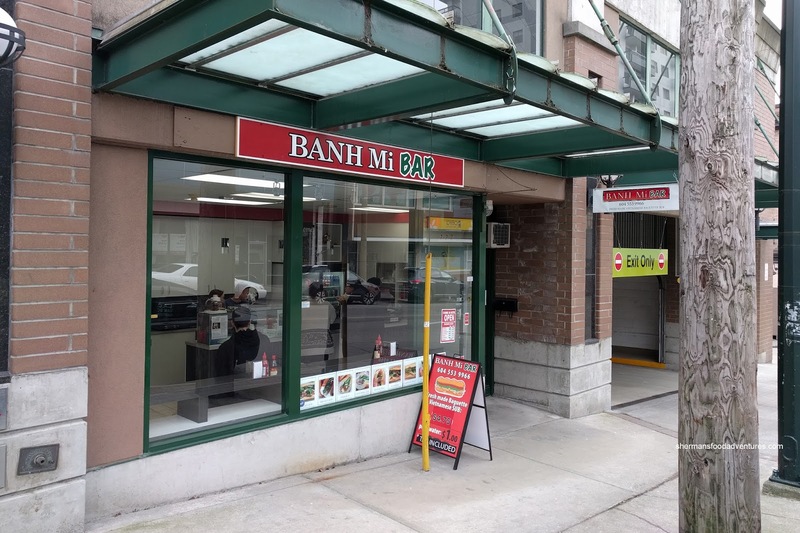 Yes, a store in New West dedicated to only Banh Mi! Unlike Banh Mi Saigon, this place has a more modest menu. So it was easy to get a feel for the place with my order of 3 sandwiches. 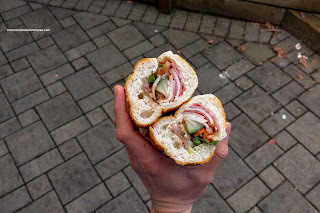 Naturally, I was going to get the Cold Cut (Dac Biet) with the usual cold cuts, pate, pickled daikon and carrots, cucumber, hot pepper and cilantro. I found the bread itself to be fairly airy and crusty while toasted up nicely. Inside, the amount of ingredients was generous as I got a little of everything in each bite. The one thing I would've liked to see was maybe more punch in the form of extra butter mayo and fish sauce or Maggi. The House Special was exactly the same as the cold cut except with the addition of meatball. There wasn't a huge amount of it, mostly due to the fact the sandwich was already stuffed full of meat. I did try a nugget of it separately and it was moist and mildly seasoned. 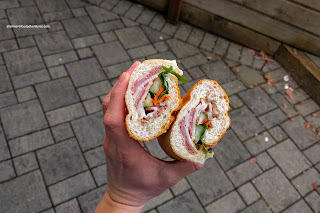 I opted to add some Sriracha, although it is not something I usually like in a Banh Mi, and it was a bit overwhelming. 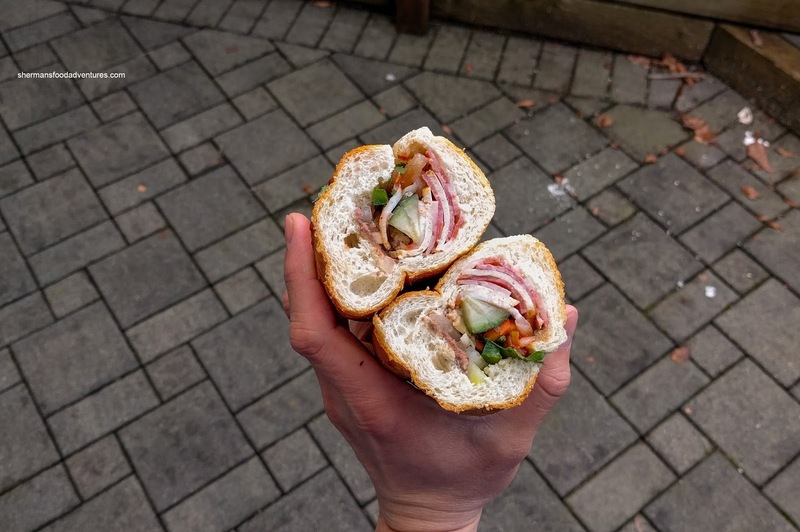 For my last sandwich, I went for something a bit different in the Pork Patty that featured the classic sweet and savoury slice of fatty processed meat. Indeed it was juicy and featured the requisite rebound texture. It was on the sweeter side, but that was balanced off by the rest of the ingredients. I actually enjoyed this sandwich the most as it had the most impact. 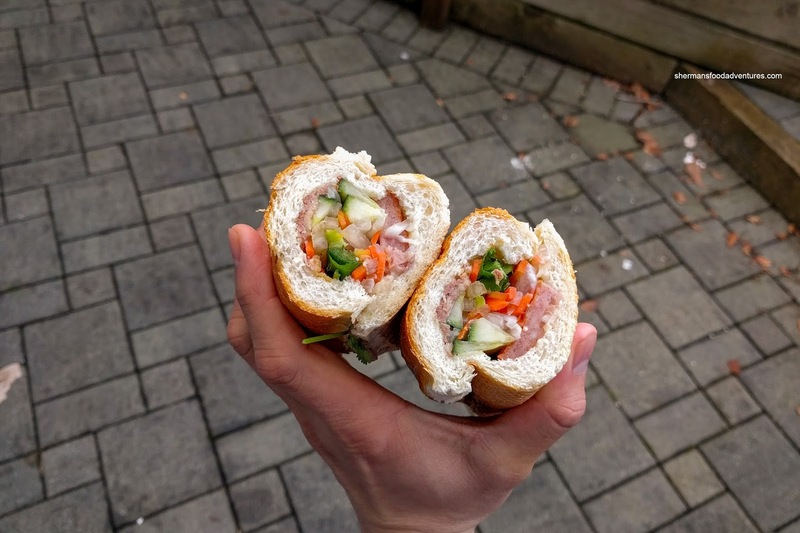 Overall, the sandwiches at Banh Mi Bar were pretty good, especially out in New West. I personally would've liked to see more flavour, but that can easily be rectified.